What does the upcoming WINTER season hold for us? According to the Farmer's Almanac map above, it appears Tennessee will be a battleground with "wet and chilly conditions." The "colder than normal with mixed snow, sleet, and rain" is located just to our north. The combination of the two portends an interesting set-up for the 2012-2013 winter season. 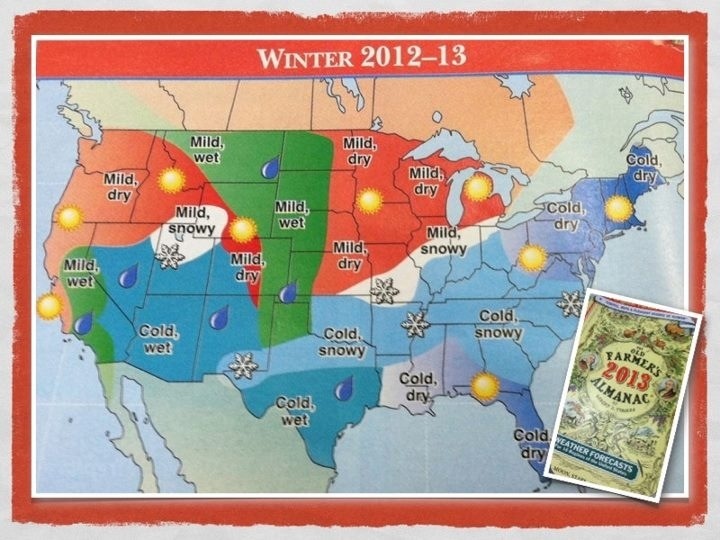 The Old Farmer's Almanac (above) shows a cold, snowy winter across our area for the 2012-2013 winter season. This will please both school kids and teachers but give administrators and weather guys lots of gray hair! Looking at data from the Climate Prediction Center (below), I am not as encouraged about prospects for a good, snowy winter. The first map is the 3-month outlook for precip while map #2 is the temperature map. Look at what each letter means by clicking on the maps below. With average temperatures and somewhat drier conditions, this could be a winter lacking for snowfall. I do expect to receive more data in the mid-late October timeframe. 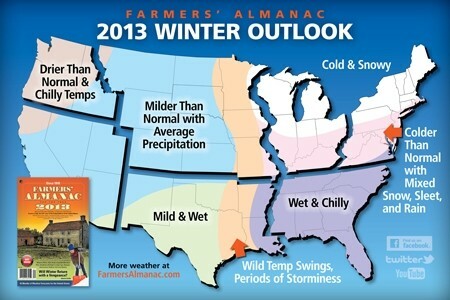 This will help us to ZERO IN on a good winter prediction. As always, winters are very unpredictable right up to the point of you looking outdoors to see if snow actually accumulated. Don't get too wrapped up in the long-term forecast or the exact amount, if any, with forecasted snow. Always make preparations when we do have a prediction of imminent snow. Cookeville, TN can be much snowier than forecasts for the Nashville area. Got questions? Don't hesitate to contact me!